Much has been written about Brazil during the Rio Olympics. But one facet of the country that’s relatively unknown to foreigners is how 9 percent of the population – or the roughly 17 million Brazilians between the ages of 15 through 19 – can get a decent, affordable college education. If U.S. investors were to take an interest, says Quero Education, they might be rewarded for it. We chatted with Quero’s co-founder and CEO Bernardo de Pádua about his six-year-old, online college marketplace and the opportunity it’s chasing. TC: You say the education industry is very different in Brazil versus the U.S. What are some of the biggest differentiators? BDP: About 20 years ago, for-profit colleges took over the market, and now almost 85 percent of students are attending them. 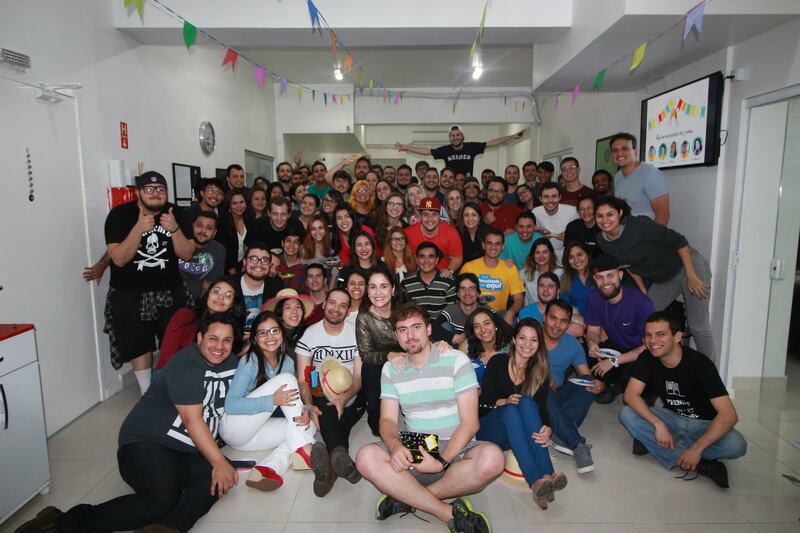 A company called Kroton this year acquired the second-largest college on the stock market in Brazil and it’s now the world’s largest school corporation, with 1.6 million students and more than $3 billion in annual revenues. And they only own a small share of the market — around 10 percent. TC: Quero is helping match students with these for-profit schools. Is that correct? BDP: Yes. These [for-profit] colleges have been fighting for new students and partnering with companies that have large databases and giving them discounts in exchange. Or, for example, if you have a church or soccer team, you can partner with a college and [because you’re sending multiple people to the school], you’ll get a 10 to 50 percent discount on tuition. But there’s a great mismatch of information that exists for the students. TC: So you’re saying these colleges suffer from oversupply? BDP: That’s right. There are six million seats open every year, and three million people enroll, so something like 50 percent of the seats are available. Some schools get oversubscribed. Public colleges are a very different story. They’re free to attend but have a limited number of seats [so it’s very competitive to attend them] and just 10 percent of people who take a national exam are really eligible for those slots. Medical schools are very heavily regulated. But there’s an oversupply in most other fields of study. TC: How do you help students make sense of options among for-profit schools? BDP: We’re like an Expedia. You come to our platform and say, “I want business administration, I’m located here, and this is what I can afford” and you’re shown degrees of varying quality along with the tuition price. And this is for in-person colleges as well as distance-learning colleges, where you take tests in a facility near your home so you don’t have to go to college every day. TC: How many of these private schools are on your platform? BDP: In total in Brazil, there are 2,000 private colleges altogether, and more than 30 percent of them are on our site, including the biggest ones. TC: And they pay you to draw kids into these empty seats. What kind of cut do you get? BDP: Students pay us a booking fee that’s equivalent to the first month of tuition. Meanwhile, the schools forgive them that first month. In the last 12 months, we’ve matched over 70,000 students with college programs, or 1.6 percent of college admissions in Brazil. And we generated nearly $7 million in revenue in the process. TC: Who are your competitors? BDP: We have two. One is smaller than us; the other is bigger, and there a bunch of small clones popping up. But the others are more like call-center businesses. It’s a very [nonprofessional] market. Meanwhile, our site is self-service. We have phone support for students, and half our team are “education counselors” who are available on the phone and via WhatsApp, but [the rest of the process is automated]. BDP: We became profitable in 2013. We’ve taken on a few opportunistic angel investment to get some good entrepreneurs with a good track record in Brazil to help us with the business. We’ve raised around $800,000 altogether. But we’re growing 5x year over year. We have more than 100 employees. Our net profit margins are around 30 percent. TC: You just went through Y Combinator’s summer program. Why apply? BDP: I’ve been a great fan of YC since the early days and they would never accept us. This was the third time we applied. There are only three firms in Brazil that have sizable funds, and they look a lot for benchmark businesses in the U.S. [against which to compare local startups]. Since the education market is very different here in the U.S. compared with Brazil, there wasn’t [an American analog], which made it hard at the beginning. And now our company is too big for most of those funds, which is why we decided to do YC. TC: You’re meeting with U.S. investors right now. What would you do with a venture-size round? BDP: Our engineering team is still very small. We want to grow it to create more features that help students, including building out content and features to better help them earlier on in the process. We’re also thinking about expanding into other verticals, including English learning, and expanding to other developing countries in Latin America, where for-profit education is starting to catch up to Brazil. Even in Brazil, just 14 percent of adults have college degrees, compared with 50 percent of adults in developed countries. Things are changing fast; there’s a lot of room to grow.